If you would like to hear her comments, you can listen here. Let me take this opportunity to summarize some of the points she made in the speech so you can see that although we don't often have the time to appreciate it, the battles that we are fighting for real education reform are being waged in every major city throughout this country. 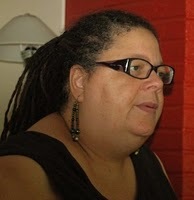 From a husband who writes in about his wife's inability to teach in her D.C. school, because of a failure of administration to support her in maintaining minimal discipline, to a Chicago school system that newly elected Chicago Union President Karen Lewis describes in a manner that one would be hard pressed to distinguish from the LAUSD inspired nonsense we face here in Los Angeles. Karen Lewis's 59% victory gives teachers the political power to advance one of her major campaign slogans, "Put business in its place out of our schools." She aims to accomplish this by defining a specific program for advancing student and teacher needs to fulfill these needs, while carefully "scrutinizing present practices" that are rampant with corruption in aid of corporate America tapping into the "$380 billion trust" that up until recently has been in the public sector for the exclusive benefit of public schools. Lewis talks about the corporate battle plan that began in Chicago 15 years ago to starve school budgets, increase class size, and close schools... sound familiar? In L.A. many of the same devices were used, but here we added billions of dollars in bond issues to build new schools of questionable necessity, while further putting the state into debt for these corporate construction company make-work projects that were put into place while giving these same corporate entities sweet tax breaks, while making it harder to get tax money for more mundane public education expenses that have been allowed to go wanting. In Chicago, they spent $60 million on standardized tests to show student failure that really had more to do with "zip code" to create a "perceived failure" that could be used to scapegoat the teahers. The less than diligent teacher leadership that Lewis has replaced "didn't bother to point it out," that the Chicago School District was actually orchestrating the failure of public education to justify the "reform" that would allow the lucrative charters to come in -- charters that have never opened their books to show their finances and charters that have had no greater success in raising the academic performance of traditionally low achieving students buried in poverty. Chicago School administration only exacerbated the situation by closing 70 schools while pushing charters that did no better. One suggestion that teachers' union president-elect Lewis suggests that might also help here in Los Angeles is changing how we finance public schools. In Chicago, school funding comes 60% from porperty taxes and 30% from the state. Lewis suggests that this be reversed so that poor neighborhoods can get the funds that they desperately need to fix their schools. In California, with the earlier Jarvis-Gann initiative that limited all property taxes, the requirement of a 2/3rds majority to pass new taxes, and the significant tax cuts Governor Schwartzenegger gave to corporations and the rich, we suffer from the same disparity of treatment of our students depending on whether or not they come from a poor neighborhood or not. Add to this the fact that Whites have basically abandoned public education and don't want to pay for a system that they no longer use and the similarities become more striking with those faced in Chicage, NYC, Baltimore, and most major urban school districts throughout this country. Chicago is slightly smaller than Los Angeles in terms of size and so is the massive debt of $600 million that is also crippling it. Lewis ends by saying that "Great schools with great teachers is the most important civil right of out generation." While we at perdaily couldn't agree with her more, I will temper my cautious optimisim with healthy skepticism derived from having heard many people say the right thing only to pale in the execution when faced with the entrenched and legendarily corrupt Chicago government of Mayor Daly, that Mayor Villaraigosa seems so intent on emulating. ‹ How Should LAUSD Be Structured?